Overview - What is wlanapi.dll? If you see an error message mentioning the wlanapi.dll file, you should take it seriously, as it is a module that is important in order to establish a Wi-Fi connection. Without the wlanapi.dll file it will be impossible to create a wireless LAN. This DLL file is usually found in the windows/system32 folder of Windows XP and Windows Vista. It's to be found on all versions including 64 bit versions and in all service packs. 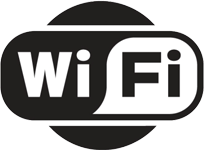 The wlanapi.dll library file is called by most third-party wireless LAN software, and thus errors regarding wlanapi.dll usually occur after installing a new wireless LAN card. "WZCSLDR2.exe - Entry Point Not Found. The procedure entry point apsInitialize could not be located in the dynamic link library wlanapi.dll"
Another reason you may experience issues with your wlanapi.dll file is due to registry problems. All DLL files are registered in the Windows registry, and if those entries are corrupt, or have been removed you may find yourself receiving recurring DLL errors. In order to solve the issue of recurring DLL errors originating from the registry, you should check your registry. Remember it's always advisable to back up your registry first before making any changes. You may also do a search of your registry to look for any mention of the wlanapi.dll file. This may give some clue as to the issue you are experiencing. If you see an error message like this, it usually means the wlanapi.dll file has become corrupted or is missing altogether. Unfortunately, restoring Windows files may not fix the problem, as your wireless LAN adapter will require its driver files in order to work, and those are the files that probably created the problem in the first place. The best solution is to check the wireless LAN adapter you are using to make sure it's compatible with your version of Windows. If it is, then you may need to download the latest drivers and install them. It's recommended that before installing a new version of your wireless LAN drivers, you should uninstall any existing drivers and restore the wlanapi.dll file. This should remove any issues that are still in conflict. Running a system restore, or using the Windows repair utility can restore the wlanapi.dll file. Finally, it's known that some malware programs and malicious software attacks the wlanapi.dll file. Some malware will deliberately change DLL files that may cause an error to be generated every time the specific DLL file is called. If you are still experiencing error messages after checking your registry and reinstalling your wireless LAN adapter, you should run an antivirus program and antimalware software to check for malicious code.